Soft plastic cup deflects urine down into the toilet bowl for neater toileting. 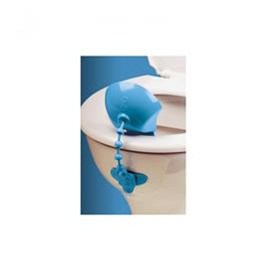 The Pee-Guard fixes to the outside of the toilet bowl with an adhesive pad . It can also be securely screwed to the front of a raised toilet seat or commode chair . 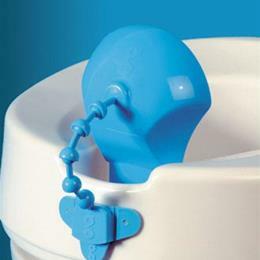 The P-Guard can be easily removed for positioning on the toilet or for cleaning. The flexible link allows the cup to be positioned for each individual.